After a hangout in the bars and night clubs of Athens, you will most probably end up at a canteen known in Greek as 'cantina'. 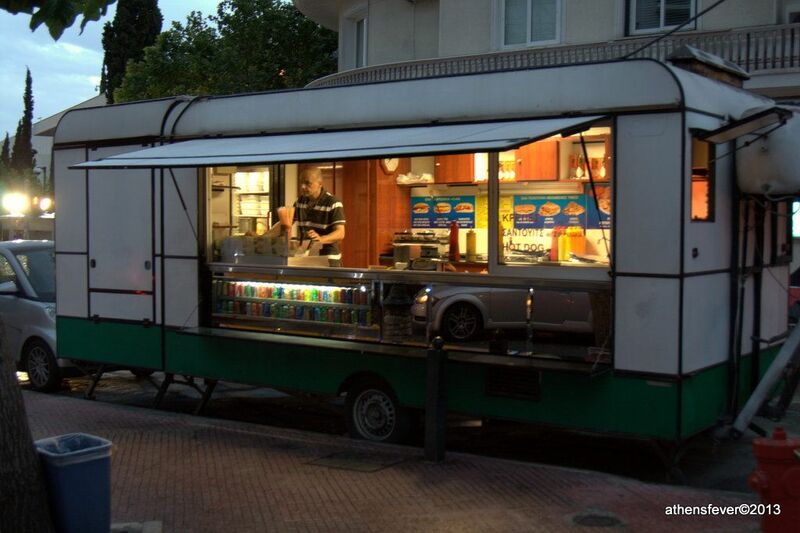 This is generally a trailer where sandwiches, hot dogs and souvlaki are served all night long, till the early morning. The 'cantina' of Mavili square on Amalias Street is the most famous of all. It is open from 08:00 PM till 07:00 AM. 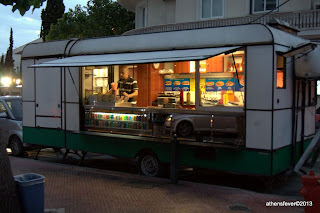 Their specialties are: Hot Dog, the Special Sandwich with two souvlakia and the fried chicken sandwich. Crepe with different flavors is also part of their menu.